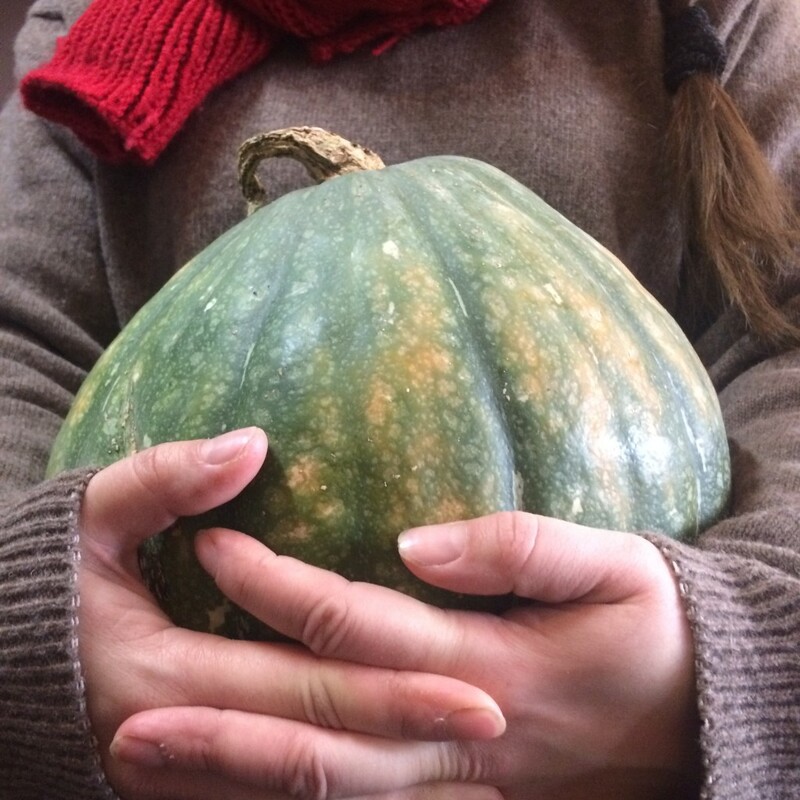 Are you interested in sustainable, local and organic food, brought to you straight from the farm? Join our food co-op Oma Maa! Oma Maa is a food co-operative based on community-supported agriculture (CSA) as well as ecologically and socially sustainable food production methods. Currently we have 5 producing members and 146 food members in the co-op. Together as a community we produce a large variety of produce at our community farm, the Lassila family farm in Tuusula, about 30 km from Helsinki. We are looking to grow into a community that can sustain 200 food members in total. At the moment it is possible to be a try-out member for two months, before becoming an actual food member of the coop. In this case you only pay the price of the foodbag you order. In order to become a food member and one of the owners of the co-operative you need to purchase a production share. One production share costs 200 euros which represents your personal investment in the co-operative. You can also share the membership with someone else. One of you will be named as the official owner of the share but the other can be registered either as co-owner or a co-sharer as well. Typically our members divide their share by agreeing to pick up the weekly harvest bag every other week. Please contact us at jasenet(at)omamaa.fi to find out more and for instructions on how to join! Once you are a full member, the harvest bags are ordered for the whole summer or winter season, each lasting approximately 6 months (typically June-November and December-May). 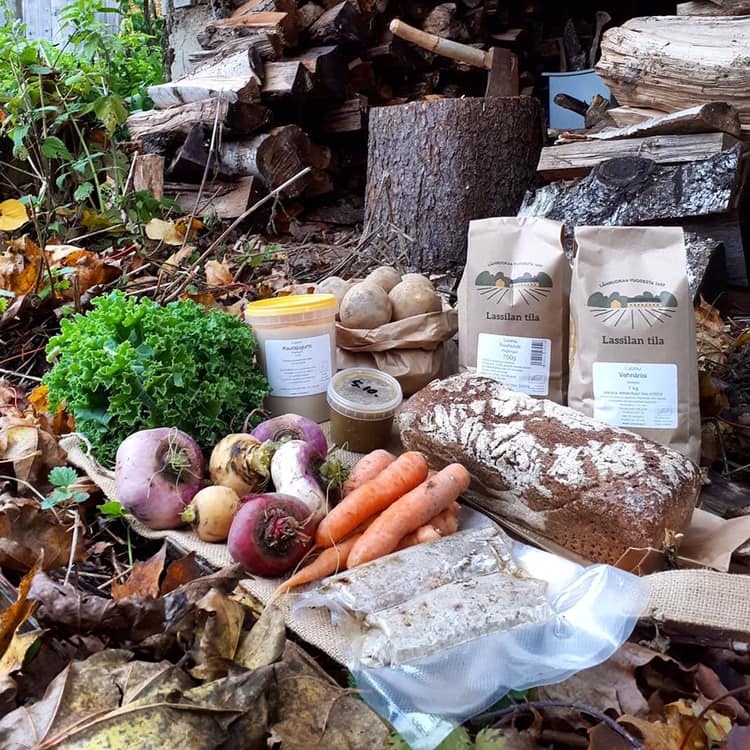 As a food member you can choose to pick up the harvest bag either at our café, situated in the Kallio district in Helsinki, or straight from our farm in Tuusula. The delivery days and prices are confirmed for each season. In general, our main harvest bag of field production forms a good base for a healthy diet for 2-4 people. Naturally the amount of food in the bag varies depending on the time of the season and the level of harvest yields each year. The price of the food bag is calculated based on the estimated yield of the whole season but is paid as a monthly fee. Fresh seasonal vegetables. Processed foods such as flour, grains, cereals, dried peas, dried broad beans, rapeseed oil, vegetable patties, falafel, seitan, oat yoghurt bread, etc. The delivery days for the summer season are Tuesday and Thursday from 5pm to 7pm. We can arrange for more delivery days if enough orders are put in. Mostly processed foods such as flour, grains, cereals, dried peas, dried broad beans, rapeseed oil, vegetable patties, falafel, seitan, oat joghurt, bread, etc. Root vegetables and wildlife herbs based on stock and season. The delivery day for the winter season is still to be confirmed from 5pm to 7pm. Oma Maa aims to develop a new kind of solidarity-based food system where the line between a producer and a consumer is deliberately faded. The co-operative partnership offers the producing members a steady market to deliver their produce to while eliminating food waste. The food members get a steady stream of local organic produce. Besides the benefits both member groups also share the risks of the production, e.g. poor harvest due to a cold summer, as is natural in a mutual partnership. An open operating model based on democratic decision making is the basis of co-operative management. Everyone can take part in making decisions about how and for what the commonly owned means of production are used. Goals of transparency and openness are actualized through the guaranteed origin of the produce and the methods of production as well as by the transparent operating model of the co-op. Our aim is to develop this model further so that the producing and food members continually work in close collaboration. The investment costs and risks can be kept minimal for a single member with the help of a large group of co-operative members. The 200 euro production shares can be compared to building blocks used to build our commonly agreed upon future. Our partnership with the Lassila farm enables us to develop a production system where the food is organic, local and the means of production are communally owned. We want to develop methods of production that supports ecological food culture and works as a model on how to implement wider changes in food production systems. Oma Maa’s production model has been called the most diverse CSA initiative in the world. Our production is organic and local. The production and the produce are seasonal. The biomass and energy streams of production are developed to become more and more circular and local to the farm so as to avoid dependency on natural resources needed elsewhere. Food members are actively encouraged to participate in the co-op activities through several types of communal work. Members can help out at the farm on specified collective working days, help organize the weekly food distribution at our café in Kallio or join one of our working groups aiming to better different aspects (e.g. land cultivation, communication and events, café) of the co-op.